Modern fitness boot camps (also known as outdoor fitness, bootcamps and military fitness) have only been around for about 25 years in the US where they originate, and the UK where they have only really taken off in the last decade (approximately 2005-2006). Get them working towards a common goal. However, as we shall see the concept of boot camps has been around for slightly longer than most people will probably appreciate. A military training approach was first introduced in 1888 at the Elmira Reformatory in Elmira, New York (Anderson et al., 1999). This new training approach was implemented to invoke discipline and keep the inmates active, rather simply allow them to suffer boredom and inactivity. This lasted until 1920 when the horrors of World War One meant this form of training fell out of favour (Smith, 1988). Also, during the Spanish-American War (25 April 1898 to 12 August 1898), US sailors wore leggings called boots, which came to mean a Navy (or Marine) recruit. These recruits trained in “boot” camps (NHHC, 2013). During World War Two, and the post-war period, the US Army used intensive basic training as a strategy to rehabilitate and reform soldiers who committed criminal behaviour. This approach was utilised to reduce costs and overcrowding, successfully returning 42,000 soldiers to active duty (Anderson et al., 1999). According to an article published in the Washington Post on 31 March 1998, the Royal Canadian Air Force Workout inspired the fitness movement of the 1950s (Krucoff, 1998) and, as such, civilian boot camp workouts can be considered throw backs to 1950s military-style exercise. During the late 1950s, Dr Bill Orban designed the Royal Canadian Air Force (RCAF) exercise plan also called the Five Basic Exercises, or 5BX, and consisted of six progressive exercise charts, each containing five exercises. Orban believed that the exercises should be performed in the same order and that people should spend eleven minutes a day on the routine. At the same time many of the RCAFs pilots were stationed in remote communities, which lacked any kind of recreational facilities. The Canadian government estimated that about one-third of its pilots were unfit for flying. 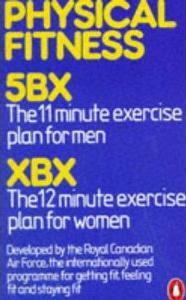 Orban’s programme, which did not require any type of exercise equipment, was devised for varying age groups and gender and was called the 5BX Plan for men and XBX Plan for women. A US version was released in the early 1960s which combined the 5BX and XBX plans (Canadian Government, 1962). Orban developed his exercise theories while studying at the University of Illinois, the first Canadian accepted into the University of California’s physical education programme. He discovered that longer treadmill sessions did not improve his son’s oxygen uptake, and noted that even elite Olympic runner Jesse Owens did not improve his aerobic fitness level through extended workouts. From this Orban concluded that intensity was the more important factor than endurance with regards to cardiovascular fitness. Although ahead of his time in his belief that enhancing your overall lifestyle is essential for fitness, he believed that his programme was only suitable for men and subsequently developed an easier version for women. However, he did argue that people should substitute the lift for the stairs and walking instead of taking transport; arguments made by the UK Government sixty years later! Although Orban believed that eleven minutes of exercise was efficient, more recent research conducted by the American College of Sports Medicine (ACSM, 2006) suggests that 20 minutes (vigorous intensity) or 30 minutes (moderate-intensity) is optimal, and the ACSM also suggests that significantly overweight people may require one hour of aerobic exercise most days of the week. In 1968, the US Army Correctional Training Facility (CTF) was established at Fort Riley, Kansas, in response to public demands during the mid-1960s that society should attempt to rehabilitate criminals in confinement rather than just confine them. Its mission was to return military inmates to duty with improved attributes and motivation through intensive training, supervision and correctional treatment. It has been described as the first boot camp or ‘shock incarceration’ programme. The CTF instigated stockade confinement in response to a growing number of offender populations and their high rates of discharge (there were significant manpower needs due to the Vietnam War) (Anderson et al., 1999). The CTF subjected offenders to both physical and mental stressors which included: road marches, obstacle and confidence courses, field training exercises, continuing observations and evaluations of teamwork and peer pressure, all with an emphasis on high demanding standards of performance. Throughout the eight week programme drill sergeants and correctional specialists supervised individual progress. However, despite the apparent success of the programme, reduced manpower needs (due to the ending of the war), attracting qualified personnel (only high school graduates and above) and the quality of recruiting (reduced need for confinement and rehabilitation) led to the demise of the CTF boot camp programme (Anderson et al., 1999). The correctional treatment of military prisoners. This system operates on a corrective rather than a punitive basis, and in 2002 the US military had the fifth lowest inmate population in the US and confined 170 inmates per 100,000 service members, compared with the US national average of 701 inmates per 100,000 residents (Haasenritter, 2003). The British Army Military Corrective Training Centre (MCTC), located in Colchester, was established during the Second World War and was reopened after refurbishment in 1988. It serves a function identical to its US counterpart in terms of corrective treatment rather than being a prison. The MCTC maintains a broad range of vocational, educational and military training activities for detainees, and even a farm, with each detainee receiving an individual training plan. Although the MCTC can accommodate 323 detainees it rarely exceeds 180, and in January 2012 it held 87 detainees per 100,000 service members (HMIP, 2012) compared with the UK national average of 116 inmates per 100,000 residents. Such was the hope for shock incarceration programmes in US prisons that young, non-violent offenders could be diverted from a life outside the law using the same tactics successfully employed by the military to turn civilians into soldiers. This reliance on a military atmosphere still provokes controversy over boot camp programmes, with proponents arguing that the rigid discipline promotes positive behaviour (Ashcroft et al., 2003). Since their beginning in 1983 in Georgia (Anderson et al., 1999), boot camps had spread to half the US States by the late 1990s, having gained wide popular appeal for their ‘get tough’ policies through the use of military discipline, physical training and hard work. Fuelled primarily by the growth in the number of offenders incarcerated during the past decade and changing views of the role of punishment and treatment in the correctional system, shock incarceration programmes, or ‘boot camps’ as they became to be called, had emerged as an increasingly popular alternative sanction for non-violent crimes. However, by the 2000s one third of the boot camp programmes had closed as research suggested that although prisoners responded well whilst on the programmes, recidivism rates were low (Ashcroft et al., 2003). It is argued that released prisoners suffered from a lack of follow-up support as programmes only provided very limited post-prison support (Ashcroft et al., 2003). Celebrity Fit Club was a reality television series that followed eight overweight celebrities as they tried to lose weight for charity. Celebrity Fit Club aired in the UK from 2002 to 2006 and in the US from 2005 to 2010; the US version was called Celebrity Fit Club: Boot Camp from 2008. Split into two competing teams of four, each week teams were given different physical challenges, and weighed to see if they reached their target goal weights. As part of the process participants were monitored and supervised by a team that included a nutritionist, a psychologist and a physical trainer; the latter of which was former US Marine Harvey Walden IV. The series originated in the UK on ITV in 2002 as Fat Club, with members of the general public taking part. The show then switched to celebrity participants, and continued until 2006. 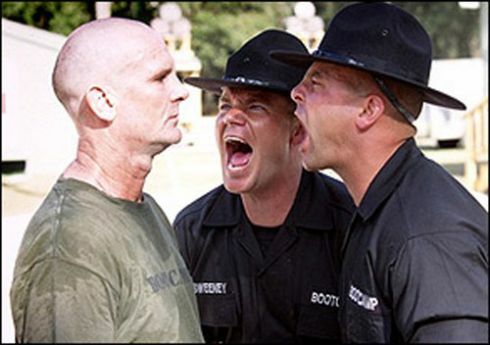 The celebrities (aka recruits) faced the drill instructors from the 2001 series ‘Boot Camp’ and underwent a week-long military training programme. A closer relation to boot camps was the US TV reality game show Boot Camp that aired on Fox in 2001. The show, apparently, drew a lawsuit from Mark Burnett due to the similarity to his reality show Survivor, which apart from the participant elimination aspect was distinctly different, and ceased production after the first season aired. The show involved 16 civilian contestants, known as recruits, over eight weeks who participated in a real life military-style boot camp 24 hours a day. Four, real-life, drill instructors put the recruits through special training activities and obstacle courses to prepare them for the ‘missions’ which they took part in. Boot camps were brought to the UK by Robin Cope, a retired British Army officer, and Harry Sowerby in 1999 “as an alternative form of group training to gyms” (BMF, 2012a). The idea of British Military Fitness (BMF) was to get people of all fitness abilities outdoors training in parks, with motivation provided by military trained and qualified fitness instructors. However, BMF states that with this form of military fitness “It was never the intention to make this a ‘boot camp’ but a fun and effective form of training using the highly professional skills learnt in the military to get people fit.” (BMF, 2012a); although in late 2013 BMF started using the term Boot Camp on its main website to describe some of its activities this was revised in 2014. BMF started in Hyde Park, London, in April 1999 with just three people: “two nurses, and a wannabe commando who turned up in his own uniform.” (Startups, 2011). Just three years later members numbered in the thousands, which is not bad for a ‘passing fad’ as some fitness professionals described it at the time. By 2011 BMF had over 25,000 members, spread across more than 120 parks covering the length and breadth of the UK (Startups, 2011). Turnover was reported to be £12 million, with profit in excess of £1 million. BMF has already expanded into South Africa, and has plans to expand into other international markets. From 1999 to approximately 2005, BMF remained the sole provider of boot camp or military-style fitness training. The years 2005 and 2006 witnessed an explosion in the number of training providers offering boot camp and associated products, with well over 200 different boot camp and military-style fitness training providers by 2012. Unfortunately, the industry was slow to develop suitable qualifications and training courses for fitness professionals engaged outdoor fitness with these only being available from 2012. The boot camp market can no longer be considered a nascent market and there are now a plethora of boot camp providers across the length and breadth of the UK, USA, Canada, Australia, New Zealand, Spain, Wider-Europe and Near Eastern and Far Eastern countries. Currently, there is only one UK-wide national provider of fitness boot camps but other regional-based training providers are slowly making gains. However, the economic downturn has affected the fitness industry across the board. Traditional, premium priced, providers have witnessed a contraction in membership whilst newer, economy priced, providers have expanded their memberships. As a result, many training providers have been forced to rethink their pricing strategies. Although the traditional medium of word of mouth continues to attract consumers to the UK boot camp market there has been a shift to newer media such as social networking sites (e.g. Facebook) and online promotional discounters (e.g. Groupon and ItIsOn.com). These two media have become the dominant methods of communicating with potential and current consumers in the UK boot camp market with training providers adopting a variety of – somewhat successful and unsuccessful – interventions to either ameliorate their affects against the business or integrate into their business models to gain competitive advantage. The Scottish independence referendum may also provide a headache north of the border for training providers, most notably the national training provider. Scottish based training providers may be able to gain competitive advantage – although this is largely dependent on the outcome of the referendum of course – due to colloquial terminology and a sense of nationalism (now a moot point given the outcome). The IHRSA (2012) also states that boot camp style programmes are still popular and that Latin dance and nightclub-inspired workouts are also appearing everywhere, generating a passion for aerobic dance not seen since the 1980s. Also fusion classes that combine yoga, Pilates, ballet, dance and even surfing continue to grow in popularity, especially in metropolitan areas where innovative gyms strive to offer the newest, most unique exercise experiences. Anderson, J.F., Dyson, L. & Burns, J.C. (1999) Boot Camps: An Intermediate Sanction. Lanham, Maryland: University Press of America. Smith, B.A. (1988) Military Training at New York’s Elmira Reformatory 1888-1920. Federal Probation. 52(1), pp.33-40. Krucoff, C. (1998) Back to Basic: “Boot Camp” Workouts Spur Trend Towards Classic Callisthenics. Available from World Wide Web: <http://pqasb.pqarchiver.com/washingtonpost/access/28333160.html?dids=28333160:28333160&FMT=ABS&FMTS=ABS:FT&date=Mar+31%2C+1998&author=Carol+Krucoff&pub=The+Washington+Post&edition=&startpage=Z.16&desc=Back+to+Basic%3B+%22Boot+Camp%22+Workouts+Spur+Trend+Toward+Classic+Calisthenics> [Accessed: 10 November, 2012]. Canadian Government (1962) Royal Canadian Air Force Exercise Plans. Available from World Wide Web: http://archive.org/details/Royl_Canadian_Air_Force_Exercise_Plans_ [Accessed: 29 November, 2012]. ACSM (American College of Sports Medicine) (2006) ACSM’s Guidelines for Exercise Testing and Prescription. 7th ed. Philadelphia, PA: Lippincott, Williams & Wilkins. Haasenritter, D.K. (2003) The Military Correctional System: An Overview. Virginia, USA: American Correctional Association. HMIP (Her Majesty’s Inspectorate of Prisons) (2012) Report on an Announced Inspection of the Military Corrective Training Centre: 11-18 January 2012. London: HMIP. Ashcroft, J., Daniels, D.J. & Hart, S.V. (2003) Correctional Bootcamps: Lessons from a Decade of Research. Washington, D.C.: National Institute of Justice. BMF (British Military Fitness) (2012a) How It Started. Available from World Wide Web: <http://www.britmilfit.com/about-bmf/how-it-started/> [Accessed: 08 November, 2012]. Wikipedia (2012) Fitness Boot Camp. Available from World Wide Web: <http://en.wikipedia.org/wiki/Fitness_boot_camp> [Accessed: 10 November, 2012]. Startups (2011) Robin Cope: British Military Fitness: The Ex-officer Tells Us How He Used The Forces to Create a New Kind of Exercise Class. Available from World Wide Web: <http://www.startups.co.uk/robin-cope-british-military-fitness.html> [Accessed: 08 November, 2012]. IHRSA (International Health, Racquet & Sportsclub Association) (2012) Top Health Club Trends for 2012. Available from World Wide Web: < http://www.ihrsa.org/media-center/2012/1/11/top-health-club-trends-for-2012.html> [Accessed: 12 November, 2012]. NHHC (Naval History & Heritage Command) (2013) Navy Traditions and Customs. Available from World Wide Web: <http://www.history.navy.mil/trivia/trivia03.htm> [Accessed: 12 November, 2012]. Hi, this a really cool site. I am starting a bootcamp club, for kids. This really helps for all kinds of information, also never knew the origin from bootcamp. Just wanted to say, great to read all of this. You’re welcome and good luck with your club. If you want to share ideas, add comments or write an article let me know. Also, I can put your website address on the outdoor training provider list if you would like? Hello – just to inform you that I’m actually the founder of Canada’s first and longest running fitness boot camp – The Original Boot Camp. We are now operating as a fitness retreat, however for 13 years prior – from 2001 to 2014 – we ran as a Navy SEAL Inspired Physical Training system in Whistler, Squamish and Pemberton in B.C. with a no excuses coach pushing your personal limits. I had a top selling book called The Original Boot Camp release in 2005 with the workout and by that time many fitness trainers had opened their own boot camp. Look me up – Cat Smiley – I wrote several instructor courses for boot camp trainers back in the day when it was a new thing, and was named the top trainer in the country 3 times due to my work in pioneering the nations hottest fitness trend. Please include my contribution to boot camps in this piece of history in Canada, I would sincerely appreciate that respect. Thanks and have a wonderful day!